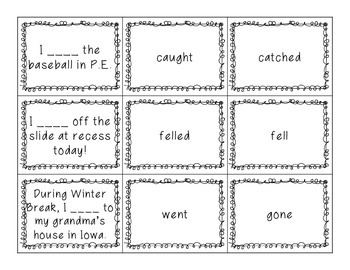 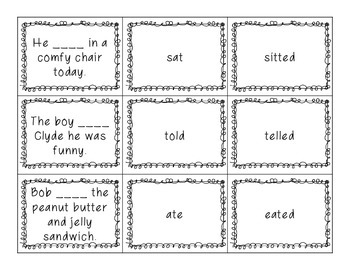 This is a memory game that provides students the opportunity to match irregular past tense verbs with the correct sentences. 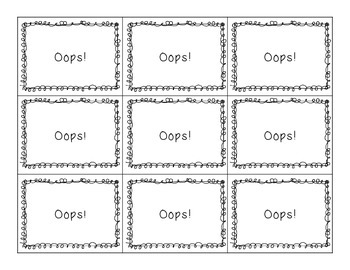 There are common nonsense words that students use when learning past tense that match to "oops" cards. 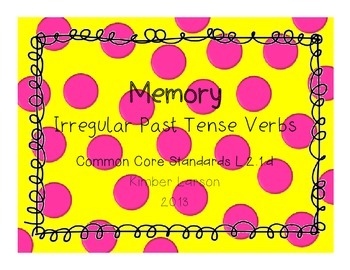 All you need to do is print, laminate, and cut!